We all live in the comforts of the metropolis. We find our way in the shadows and between those high-rise structures. 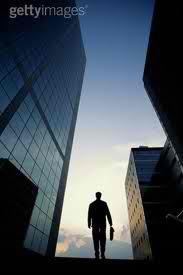 Day and night we march on like little pawns on a chorus of the bustling corporate life. Within the confines of those enormous structures we build our own little worlds. And with the towering figure of these structures we sometimes find ourselves fidgeting and wondering where we are. Despite the length of time we spent we never really sought to understand our surrounding. Yes, it is sometimes depressing after realizing that life became boring. We may have trivialized how the environment is actually affecting our behavior and feelings. On the flipside, it may significantly affect our perception on how we act on our lives. Our sensorial outlets are very powerful on affecting the way we feel. If all you see are the enormous buildings, smell only the smog, hear only engines of cars- what do you think we will be? If I am to paint it in my imagination, its color is monochromatic gray, the texture is rough, the strokes and lines are sharp and crooked. We may not have really realized it but we are living in a harsh surrounding; a man-made hell wrapped with gratuitous decorations. The cruel thing is, it actually made us enjoy the scenery. That is why, it is really nice to still even see parks where trees and flowers really grows at the middle of this chaos. To seriously think about it, this small parcel of land is actually an insignificant consolation of the trade-off we have made. A small place of refuge for the systematic alteration of the environment we are in.